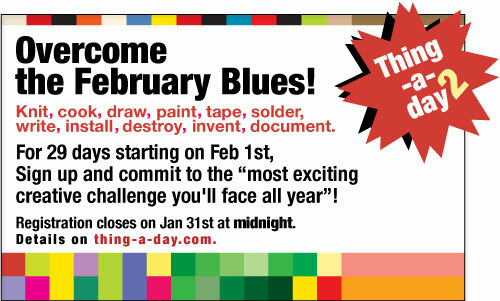 You still have a day to register for the Thing-a-day challenge. Participants pledge to make something for every day in February and then post it online. More details and registration at Thing-a-day. If you’re a Michigan resident taking part, we’d love to follow you. Just post your web link in the comments! I forgot to post my website… 1st project up!